Who Would You Trust To Rebuild Your Transmission? If you are going to trust someone with your hard earned cash it would make sense to do your due diligence. Our reputation speaks for itself. We offer our customers a no argument national warranty from a business with 40 plus years outstanding track record. We always use parts that are equal or exceed the manufacturer’s original specification wherever possible. We always investigate why the unit fails and find ways to lessen the chance of a repeated failure in the future. This is one of our strong resolves as a business and keeps us sharp. Most importantly, we always take the time to find out what your needs are and provide the most suitable solution for YOU. We believe this is the key to getting good referrals and keeping customers for life. We are always happy to offer a free initial appraisal and advice, including a road test at no charge and this has been our practice since 1975. For a recondition or rebuild, the first step involves totally stripping, washing and inspection of the transmission. This is followed by diagnosing and replacing any faulty parts. The unit is then reassembled replacing all internal and external seals, bearings, and friction components. The torque converter is cut open, inspected and rebuilt. In the case of front wheel drive vehicles, the differential is also stripped and inspected. The valve body is checked for wear and either recalibrated with updated valves, re-sleeved or replaced. This last step is vitally important to ensure the transmission will have a long life after the rebuild. In nearly all cases of reconditioning there are durability upgrades available in the form of design changes or modifications. These can all help to extend the service life of the transmission. We always offer the best repair option which matches our customer’s needs. The options available will be determined by unit kilometres and the type of failure. For example, if your plans involve selling the vehicle in the near future it would make sense to do a part repair at a reduced cost. An alternative is to replace the transmission with a good used unit. In most cases, we can supply a used unit and offer limited parts and labour warranty. Our customers are welcome to supply their own unit if they can source it themselves, this can often be cheaper than our suppliers but please beware of mismatching revisions as car makers often subtly change the designs over a model’s life. Why recondition my transmission? Are there alternatives? 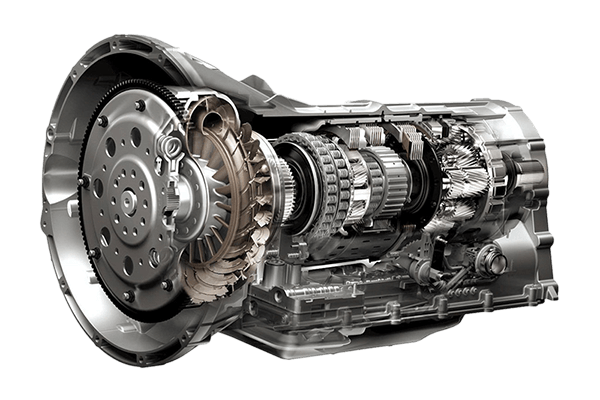 You will get peace of mind knowing the transmission has been restored to as new performance and reliability with a solid warranty. Where the damage is reasonably contained and the unit kilometres are not too high, a part repair may be possible and could be more economical in some cases. Replacement with a second-hand unit from an unknown source is usually a last resort as they tend to come with vague warranty conditions, unpredictable life expectancy and can be a high risk decision. What will happen if I don’t recondition or fix my transmission? If early symptoms are ignored the parts bill and cost of repair will only escalate. Vehicle reliability, fuel economy, drivability and resale value will all be adversely affected. In extreme cases, we have seen transmissions made unrepairable due to negligence. The vehicle may stop suddenly and completely while driven and would require tow recovery. When transmission problems occur, Ron Hill is the one you can rely upon to give you honest diagnoses, expert advice and excellent workmanship.